Stunning masculine card Kelly - and you certainly mixed and matched with this card. What a cute little deer image and the sentiments on the set are so fun too! The plaid is perfect, you did a great job casing the card. Such a nice manly card, Kelly! Love the paper choices. It's a so cute and sweet masculine card! :D Love those little flowers! Perfect guy card and combination of stamps. I love that you paired the deer with a sentiment from Classic Man. So cool!!! 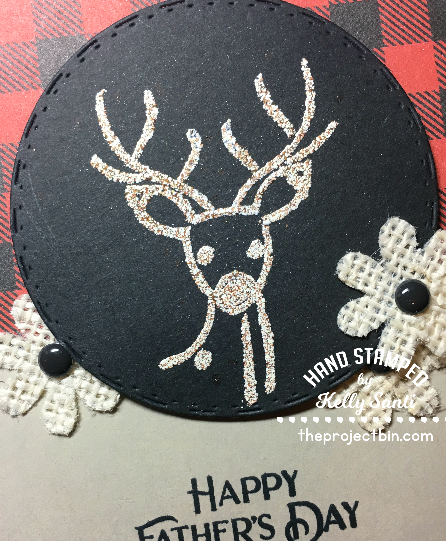 Love the plaid paper! Love the plaid with your buck!! 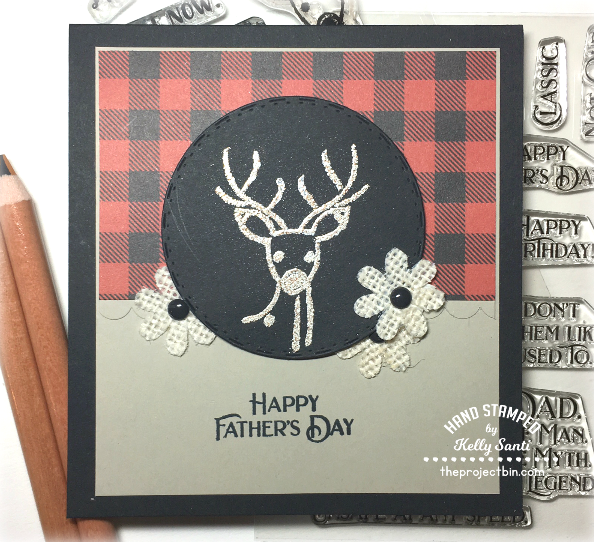 Great Father's Day design, Kelly!